One hundred forty typically developing 5- to 12-year-old children were assessed with a test of advanced theory of mind employing Happé’s strange stories. There was no significant difference in performance between boys and girls. The stories discriminated performance across the different ages with the lowest performance being in the younger children who nevertheless managed to achieve a third of their potential total. However, some of the individual mentalising concepts such as persuasion were too difficult for these younger children. 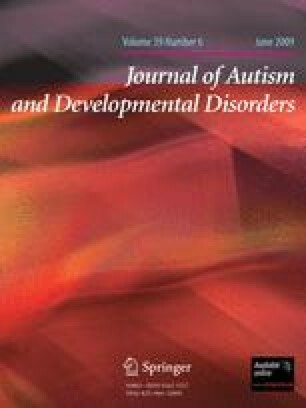 This normative data provides a useful clinical tool to measure mentalising ability in more able children with autism spectrum disorder. This work was supported by the Community Child Health Endowment Fund, Royal Hospital for Sick Children Edinburgh and the Autism Research and Development Fund, Sick Kids Friends Foundation, Edinburgh. Twelve ‘Strange Stories’ employed in study. Happé 1994. John hates going to the dentist because every time he goes to the dentist he needs a filling, and that hurts a lot. But John knows that when he has toothache, his mother always takes him to the dentist. Now John has bad toothache at the moment, but when his mother notices he is looking ill and asks him “Do you have toothache, John?”. John says “No, Mummy”. Is it true what John says to his mother? Why does John say this? One day Aunt Jane came to visit Peter. Now Peter loves his aunt very much, but today she is wearing a new hat; a new hat which Peter thinks is very ugly indeed. Peter thinks his aunt looks silly in it, and much nicer in her old hat. But when Aunt Jane asks Peter, “How do you like my new hat?” Peter says, “Oh, it’s very nice”. Was it true what Peter said? A burglar who has just robbed a shop is making his getaway. As he is running home, a policeman on his beat sees him drop his glove. He doesn’t know the man is a burglar, he just wants to tell him he dropped his glove. But when the policeman shouts out to the burglar, “Hey you, Stop!”, the burglar turns round, sees the policeman and gives himself up. He puts his hands up and admits that he did the break-in at the local shop. Was the policeman surprised by what the burglar did? Why did the burglar do this, when the policeman just wanted to give him back his glove? Is it true what Sarah says? Was it true what Mrs. Smith said? Why did Mrs. Smith say this to Jill? Today, Katy wants to go on the swings in the playground. But to get to the playground she knows she has to pass old Mr. Jones house. Mr. Jones has a nasty fierce dog and every time Katy walks past the house, the dog jumps up at the gate and barks. It scares Katy awfully and she hates walking past the house because of the nasty dog. But Katy does so want to play on the swings. Katy’s mother asks her “Do you want to go out to the playground?” Katy says “No”. Is it true what Katy says? Why does she say she doesn’t want to go to the playground, when she so wants to go on the swings that are there? Is it true what Emma says? Why does Emma say this? Is it true what Daniel says? Is it true what Father says to Emma? Simon is a big liar. Simon’s brother Jim knows this, he knows that Simon never tells the truth! Now yesterday Simon stole Jim’s ping-pong bat and Jim knows Simon has hidden it somewhere, though he can’t find it. He’s very cross. So he finds Simon and he says “Where is my ping-pong bat? You must have hidden it either in the cupboard or under your bed, because I’ve looked everywhere else. Where is it, in the cupboard or under your bed?” Simon tells him the bat is under his bed. Was it true what Simon told Jim? Where will Jim look for his ping-pong bat? Why will Jim look there for his bat? On Christmas Eve, Alice’s mother takes her to the big department store in town. They go to look in the toy department. In the toy department Mr. Brown, Alice’s next door neighbour, is dressed up as Santa Claus, giving out sweets to all the children. Alice thinks she recognises Mr. Brown, so she runs up to him and asks “Who are you?” Mr. Brown answers “I’m Santa Claus!”. Is it true what Mr. Brown says? Yvonne is playing in the garden with her doll. She leaves her doll in the garden when her mother calls her in for lunch. While they are having lunch, it starts to rain. Yvonne’s mother asks Yvonne “Did you leave your doll in the garden?” Yvonne says “No, I brought her in with me, Mummy”. Is it true what Yvonne says? Why does Yvonne say this? Lie (dentist): Q2 (Table 2). White lie (hat): Q2 (Table 3). Misunderstanding (glove): Q2 (Table 4). Sarcasm (picnic): Q2 (Table 5). Persuasion (kittens): Q2 (Table 6). Contrary emotion (swings): Q2 (Table 7). Pretend (banana): Q2 (Table 8). Joke (haircut): Q2 (Table 9). Because her hair is too short for a woman, she’s in the army! Figure of speech (cough): Q2 (Table 10). Double bluff (ping-pong bat): Q2, in the cupboard (Table 11). Appearance/reality (Santa Claus): Q2 (Table 12). Forget (doll): Q2 (Table 13).